Our bodies are capable of astounding things! For instance, were you aware that your body has genes that produce glucosamine, chondroitin and collagen to help repair cartilage and maintain strong joints? 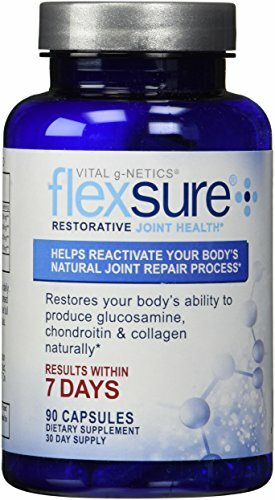 Flexsure is a formula that works to assist in the reactivation of the body's natural ability to produce its own glucosamine, chondroitin and collagen to help restore the natural joint repair process.